International financial crisis has led to devaluation of the Romanian currency, International Monetary Fund (IMF) said in its latest report, Business Standard Daily reported. The RON depreciation, along with the rise in inflation, shows Romania’s vulnerability to world market turmoil, the IMF report said. ''The exchange rate depreciated sharply after the turmoil in international financial markets started in August 2007, but has stabilized since February 2008. In response to inflation rising well above its target range, BNR increased its policy rate several times from October (7.0 percent) to May (9.75 percent),'' according to the IMF report. IMF officials welcomed the strong economic growth of 6% in 2007 and 8.2% in the first quarter of 2008, the reduced unemployment and the rising exports. ''These positive developments have contributed to an impressive increase in per capita income,'' according to the report. Foreign investments also increased sharply since the country’s entry to the European Union in the beginning of 2007. However, these investments have overheated the economy. ''Foreign investor interest in Romania remains strong, but looming structural bottlenecks will need to be addressed if this interest is to be preserved or even expanded. 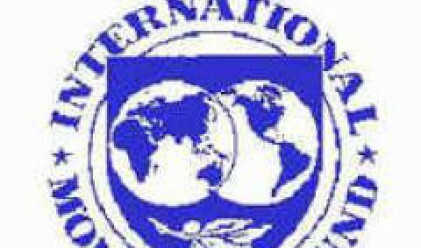 Further emphasis will need to be placed on structural reforms with a view to raising energy efficiency, developing public infrastructure, liberalizing further the labor markets, and strengthening the judicial system,'' the IMF report said.